Selecting an appropriate accommodation for your stay amongst so many options available on internet is not an easy task. Therefore, contact Uphoria Travels for getting the best deals on hotels now. We are actively involved in offering excellent hotel booking services for 5 star hotels, 3 star hotels, 2 star hotels, guest house, luxury resorts, and motels. Before we confirm your bookings for a hotel, we ensure that the hotel rooms are equipped with modern amenities such as comfortable beds, spaciousness, clean bathrooms, and several others. 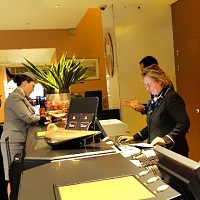 Moreover, we make sure that the hotel tariffs do not exceed your budget. So, rush to us now! We are based in Guwahati (Assam, India).